Words of Warning:We tried to tell you. 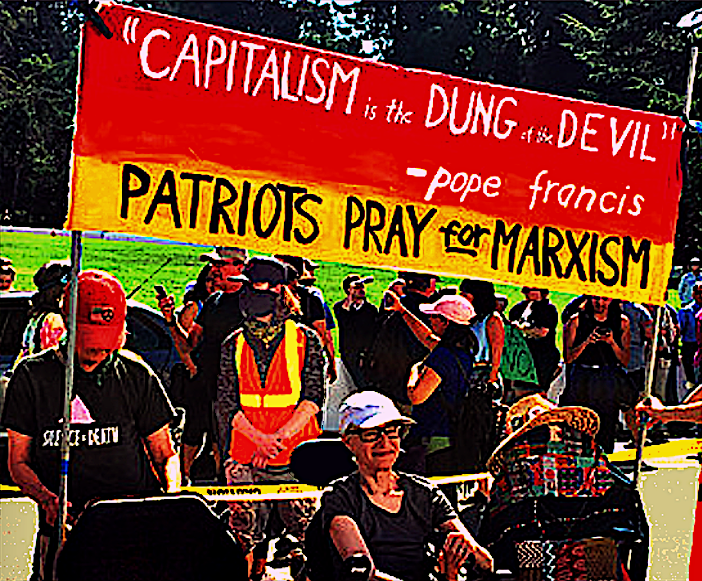 “Most leftists have yet to realize that climate science has handed them the most powerful argument against capitalism since William Blake’s ‘dark Satanic mills. 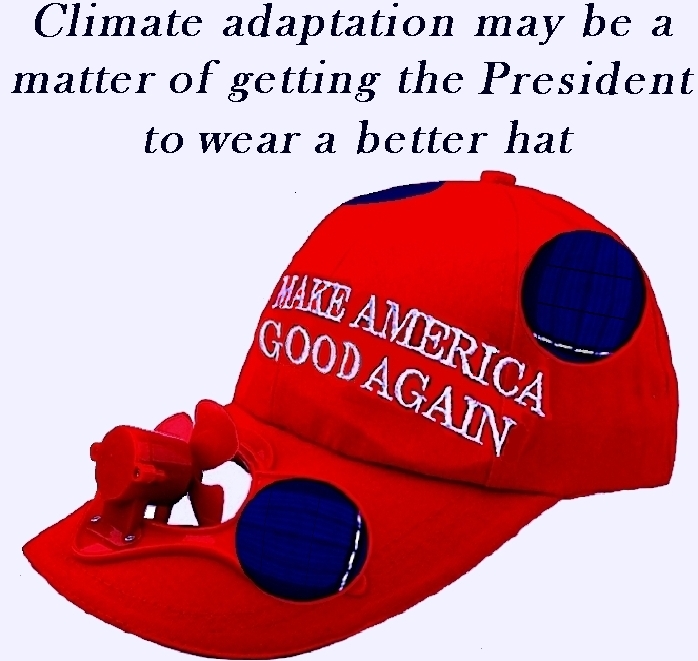 With climate change the ultimate example of how capitalism drives environmental as well as social destruction, climate activists would have to embrace an agenda of jobs, equality, and justice. The only comparable precedent is the outlawing of slavery, which triggered the bloodiest war in US history. 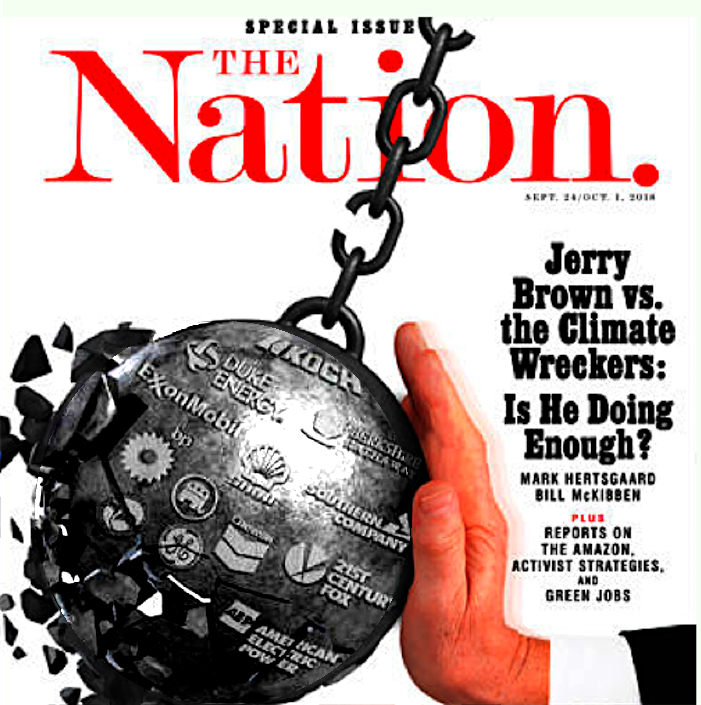 Climate activists should recognize that they are making an equally far-reaching demand. … the science dictates imply revolutionary shifts in economic and political behavior …We need…a movement that’s about taking power and changing power structures at a fundamental level. 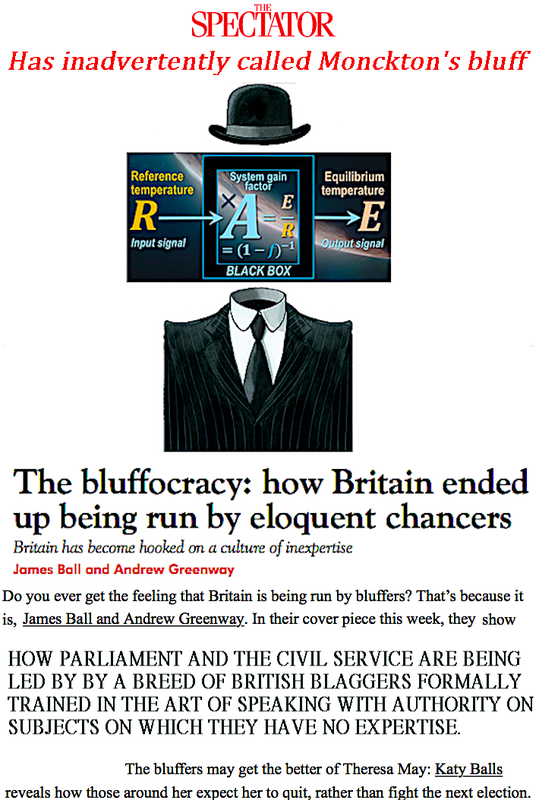 “The real point … is less to pass specific legislation than it is to change the zeitgeist… for the ruthless few can only be defeated by building political power. WILL PETA MOVE ON TO A VEGAN REMAKE OF DUCK SOUP? The new art doesn’t address any of the underlying issues about ethics, exploitation, and corporate greed. 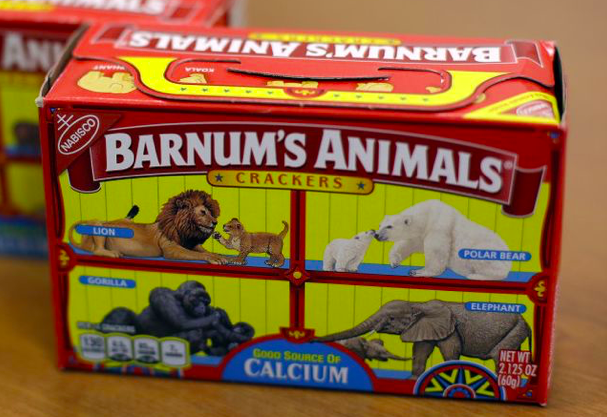 Nabisco’s animal crackers are a staple of American snack food aisles, and the box — a red-and-yellow rectangle featuring brightly colored circus animals cavorting in cages — is instantly recognizable. Just last week, though, Nabisco’s parent company Mondelez International announced it will change the design of the box. Instead of depicting the animals behind the bars of a circus wagon, it will show them striding free along a savannah. Though the change is symbolic, it stirs up some mixed feelings for me ethics-wise as well as personally — because the designer of the previous box was my great-grandfather’s brother. Geoengineering open-air experiments – civil society must confront geoengineers on the ground when they take their risky technologies to the skies, land and seas. 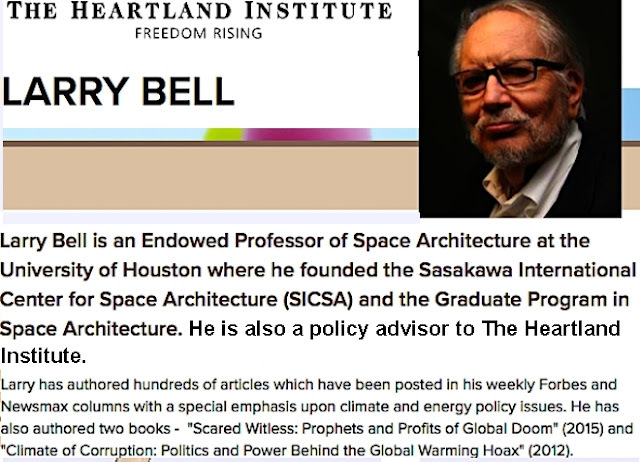 In the fray of US political turmoil, geoengineers have moved forward four open-air geoengineering experiments in the Americas – two on the US mainland (including one in Brown’s home turf in Monterrey Bay, California), one in the Arctic, and one on the coast of Chile. These experiments represent a slip down the slope of technological lock-in – once a technology gains investment and begins testing, it becomes harder and harder to justify not deploying the technology. All the experiments also violate the Convention on Biological Diversity moratorium on geoengineering. 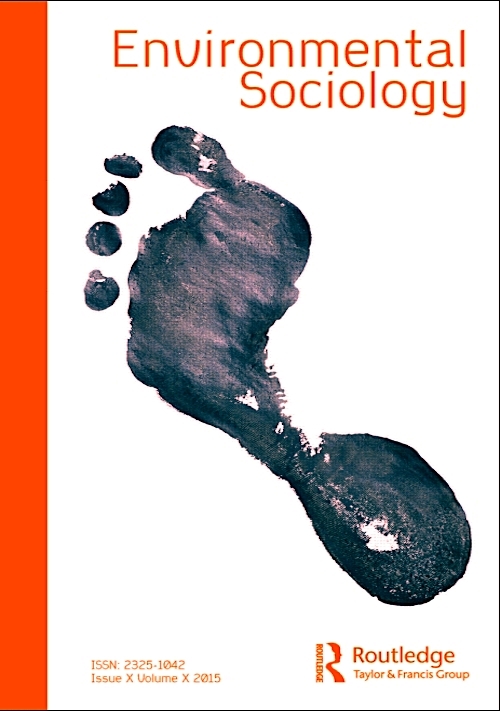 Follow Geoengineering Monitor on Facebook/Twitter for updates during the climate mobilizations in September. Researchers from the University of Southampton warn that climate change may threaten populations of the grey long-eared bat (Plecotus austriacus) in southern Europe, which may hold the key for the survival of the species as a whole. Ecologists remain concerned because the populations in Spain and Portugal—which are particularly at a high risk—include pockets with the highest levels of genetic diversity because their ancestors have survived major climate change events including ice ages. 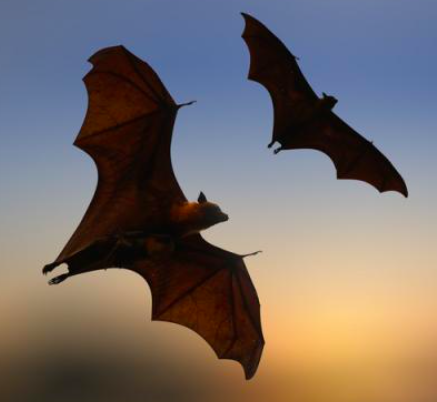 These bats are better suited to the hotter, drier conditions associated with climate change. Other populations in the region that lack the same genetic diversity and are unable to adapt to the harsher conditions could become isolated if they cannot travel to more climatically suitable areas because the landscape in between is unsuitable. This may prevent the bats from achieving better-adapted populations—whose genes could help the threatened bat populations survive. “Long-lived, slow-reproducing species with smaller population sizes are not likely to be able to adapt to future climate change fast enough through the spread of new mutations arising in the population,” lead author Orly Razgour, Ph.D., of the University of Southampton, said in a statement. “Instead they will depend on the spread of adaptive genetic variation between populations through the movement of individuals. 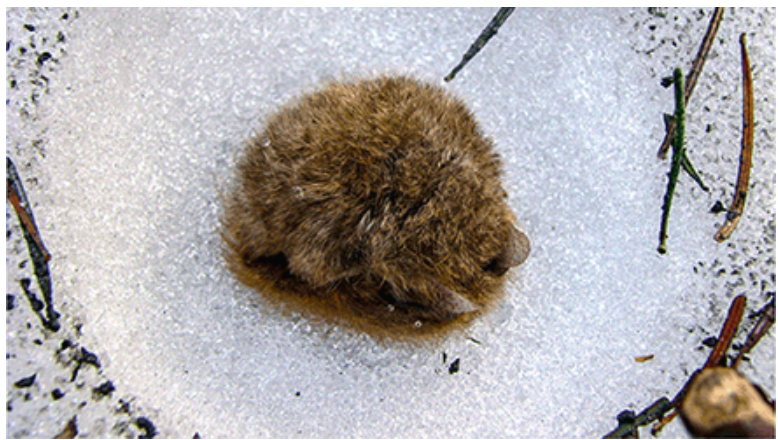 Ussurian tube-nosed bats hibernate in tiny snow caves. Snow provides thermal protection from extreme temperatures, a phenomenon capitalized on by polar bears and people indigenous to parts of the Arctic. But snow does not provide a cozy environment, a likely reason why more mammals have not evolved to take advantage of its protection against extreme cold. 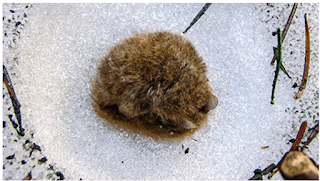 Hirakawa and Nagasaka, however, report that Ussurian tube-nosed bats (Murina ussuriensis) appear to create tiny snow “caves” with their bodies, which then serve as opportunistic hibernacula. "Along with alleged human rights violations including crackdowns that have killed hundreds of civilian protesters, Nicaragua’s government also stands accused of widespread environmental abuses—such asoverlooking the illicit clearing of rainforests. Critics are now questioning why one of the country’s top government ministers, Paul Oquist, holds a prominent leadership position on the Green Climate Fund (GCF), an international group that sponsors projects to reduce climate change damage in developing countries. Oquist is currently setting agenda priorities for the fund’s governing board meeting in October, when the group plans to sponsor a new round of projects. Chartered by the United Nations in 2010, the GCF finances climate-friendly development ventures in the world’s poorest countries. Its 24-member governing board, led by two co-chairs, reviews project proposals and allocates a multibillion-dollar budget that is chiefly bankrolled by wealthy nations. During the 2015 Paris climate negotiations, the fund was deemed crucial for helping developing countries meet their emissions goals. Nicaragua was among the final signatories to the 2015 Paris agreement on climate-control measures. The nation’s leaders had initially slammed the deal as insufficient to protect developing countries from climate change effects. During negotiations, Oquist—Nicaragua’s senior minister for national policy and the country’s climate envoy—called the deal “a path to failure” that would lead to “death and destruction.” But his position flipped after the U.S. pulled out of the pact. (The Trump administration has not fulfilled Washington’s pledge to contribute $3 billion to the GCF). Nicaragua entered the Paris agreement in October 2017, declaring solidarity with other nations vulnerable to climate change. But some observers claim its government had an additional motive for joining the accord: to gain chairmanship on the GCF’s governing board, a position Nicaragua had long sought. In February the board approved Oquist as co-chair alongside Sweden’s Lennart Båge. 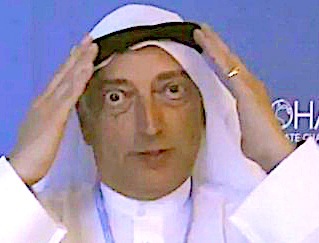 The representative from Georgia, Teimuraz Murgulia, protested the decision because of Nicaragua’s initial reluctance to cooperate with the Paris agreement; Murgulia left the room as the board pushed ahead with the appointment. Oquist is now set to lead the board for the rest of 2018. A number of environmental experts have questioned Oquist’s co-chair position, citing moral objections to Nicaragua’s alleged human rights violations—and an environmental policy that has left the nation’s flora and fauna “severely unprotected,” according to a 2013 study published in the Research Journal of the Costa Rican Distance State University. “We are facing the worst environmental management of our lifetimes,” says Jurguen Guevara, a forestry scientist at Centro Humboldt, ... A forest area totaling twice the size of Delaware has been slashed... in Nicaragua’s Caribbean Lowlands, a remote rainforest area second only to the Amazon in biodiversity and size in the Western Hemisphere, according to Guevara. WILL KELVIN WARM TO THE THIRD DEGREE ? The Russian firm famed for that quality product, the AK-47 assault rifle, is offering a retro- electric 1970's "supercar" to compete with Tesla. 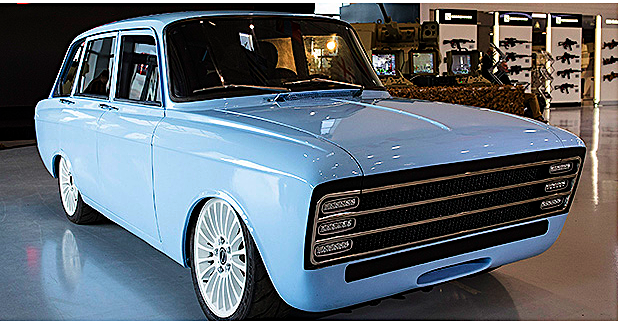 The Kalashnikov Concern holding company, says the CV-1 prototype, based on a 1977 Soviet hatchback model, has a revolutionary inverter,and a recharge range of 217 miles. "This technology will let us stand in the ranks of global electric car producers such as Tesla and be their competitor," the Kalashnikov press office said, according to state news agency RIA Novosti. "We were inspired by the experience of global market leaders in developing our concept." Kalashnikov has recently forayed into civilian product areas like umbrellas and cellphone covers. Some commenters on Kalashnikov's Facebook page were skeptical of the venture into electric cars, though. Following this recommendation, we report results from a study in Norway. 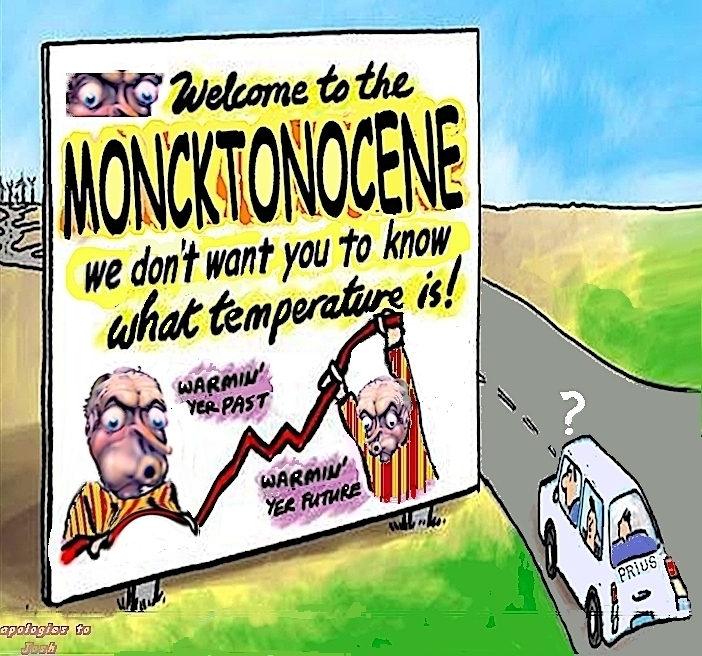 McCright and Dunlap argue that climate change denial can be understood as an expression of protecting group identity and justifying a societal system that provides desired benefits. Our findings resemble those in the US study. A total of 63 per cent of conservative males in Norway do not believe in anthropogenic climate change, as opposed to 36 per cent among the rest of the population who deny climate change and global warming. Expanding on the US study, we investigate whether conservative males more often hold what we term xenosceptic views, and if that adds to the ‘cool dude-effect’. Multivariate logistic regression models reveal strong effects from a variable measuring ‘xenosceptic cool dudes’. Interpreting xenoscepticism as a rough proxy for right leaning views, climate change denial in Norway seems to merge with broader patterns of right-wing nationalism. 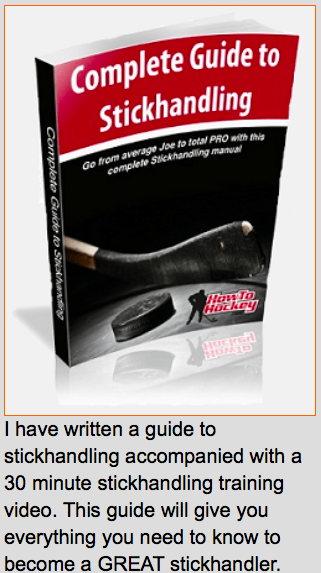 Because hockey sticks come in so many shapes, it can be hard to make sense of it all. One feature of particular importance is the blade – the only point of contact between the player and the puck. Players attach a lot of importance to the way it is curved. 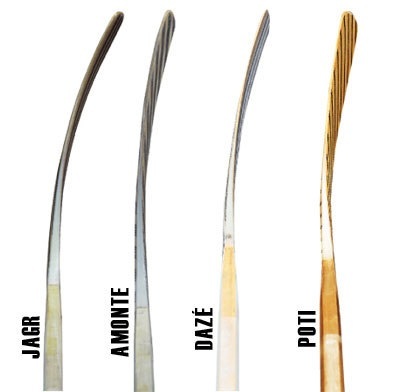 Looking at the Koho (yes it uses older curves as examples, but it’s still relevant) sticks in the figure bellow, you see that each one carries a unique curvature pattern. There is more to a curve than left- and right-bend indeed. The curvature of the blade of the stick shall be restricted in such a way that the distance of a perpendicular line measured from a straight line drawn from any point at the heel to the end of the blade to the point of maximum curvature shall not exceed three-quarter of an inch (¾”). NHL Rulebook 2007. The rule says that the red line should not be longer than ¾ of an inch, or 1.9 cm. Some people use the dime technique (not quite ¾”, but close) whereby the coin shouldn’t slip vertically underneath the blade when its lying against the floor, but nowadays NHL referees have fancier measuring gadgets to control illegal sticks. Note that the ¾’’ figure is an increase from ½’’ as of 2006. 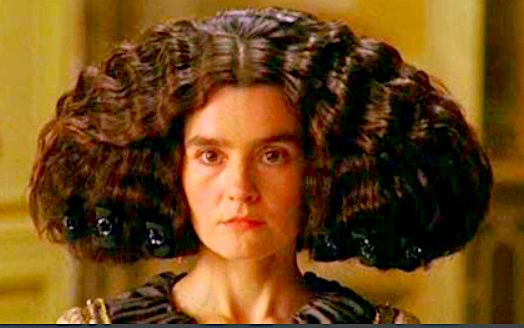 We will discuss the implications of that rule change later. A second key aspect is where the curve begins on the blade. A blade can be curved like a circle, smoothly and uniformly, but sometimes it is not. Take a look at the Reebok™ and Easton™ sticks in Figure 3: the “Yzerman” stick has a curve that begins in the middle of the blade whereas the “Amonte” one starts at the heel. These are called “center” and “heel” curves, respectively. A third one is called the “toe curve” and has a bend closer to the end of the blade. While the difference between center- and heel-curves is mostly a matter of preference (hockey players can be very picky), a toe-curve makes scooping the puck away from someone else a little easier. President Trump's pick to lead the Advanced Research Projects Agency-Energy denied yesterday he was chosen to "put the nail in the coffin" for the Department of Energy branch, which is targeted for elimination by the White House. 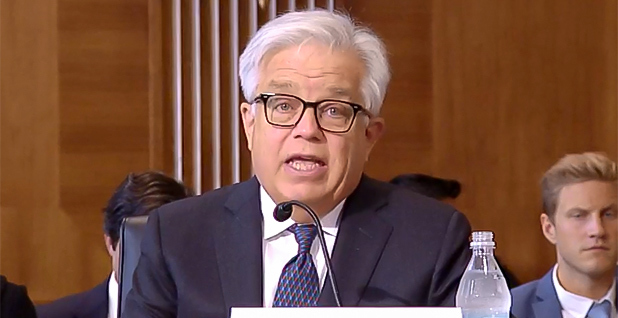 Questions about the obvious split between Trump's budget request and the president's nomination of an ARPA-E director popped up several times at the Senate Energy and Natural Resources Committee hearing to consider two DOE contenders. At one point, Sen. Angus King (I-Maine) asked Lane Genatowski, the ARPA-E director nominee, "Why are you sitting here?" considering the White House's push to zero out ARPA-E funding the past two budget cycles. "You can't be two people. 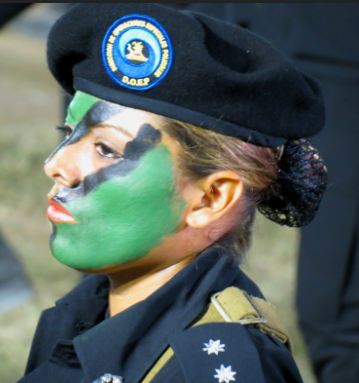 Do you support the president's budget, or do you think ARPA-E has an important mission?" King asked. Genatowski answered he supported the president's budget but also wanted to become director, to put an oar in the water and "help it out." "I guess, in my mind, I can hold both concepts, and they wouldn't be inconsistent. If Congress votes to appropriate money and authorizes money to be appropriated to run ARPA-E. The president signs the bill ... and I'd like to be the person [who] runs it," he said..
Sen. Joe Manchin (D-W.Va.) quizzed Genatowski about who vetted him for the position, and whether administration officials talked to him about plans to put ARPA-E "to rest" and "close it up." "Not one minute," Genatowski said in response. "The people who vetted me, I guess, picked me because they thought if it wasn't closed down, I could add something,"
a surplus Navy A-10 for research missions. Known as the Warthog, the titanium-armored aircraft was used to attack tanks during the Gulf War with a nose-mounted gatling gun. The plane would be fitted with instruments and flown into large forming hailstorms to learn more about the internal workings of the most damaging storms. 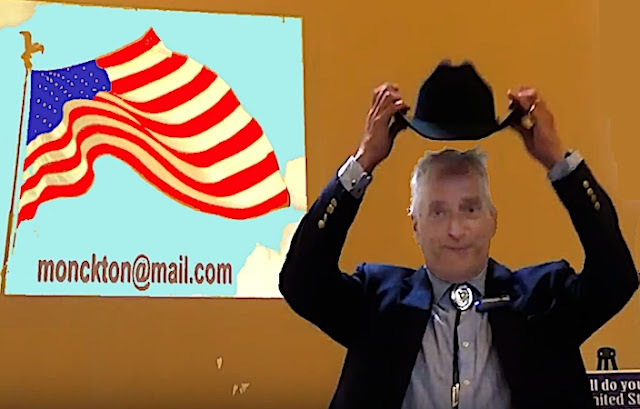 What more befits an evangelican summer camp in Massachusetts than a Tombstone Arizona Tea Party hat ? Geological evidence suggests that the Antarctic coastline which is now covered with ice was ice-free only 6,000 years ago. 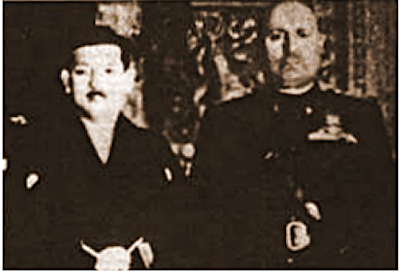 When MacArthur's GHQ ordered him to report to Sugamo Prison on 12 December 1945... He was so delighted to be designated an A-class criminal that he arrived at the prison one day early... preceded by a brass band blasting out the "Gunkan Battleship March". He became obsessed with the project of introducing motorboat racing (and gambling) to Japan when he got out of Sugamo. This provided funding for international scholarly exchange, academic surveys and guest forums graced by leading intellectuals ... his hangers-on wanted him to receive the Nobel Peace Prize"